Dr John Stanton, a Senior Lecturer in The City Law School, explores some of the UK’s constitutional uncertainties in the aftermath of the EU Referendum. More than a week has now passed since the EU referendum. In that time, debates have cropped up on many fronts: legal and political. This article explores some of the pertinent constitutional questions arising. Referenda have been rarely used at the national level in Britain. More common at local and regional spheres of governance, last Thursday’s vote was only the third countrywide referendum in British history. Referenda are political exercises, seeking to determine the popular democratic view on a given issue. Unless stipulated at law, they create no legal obligations and thus do not impose upon policy or law-makers a duty to give effect to the popular view. Indeed, it is against this backdrop that a petition seeking a second referendum has circulated and it is on this basis that arguments suggesting that Brexit might not take place are founded. 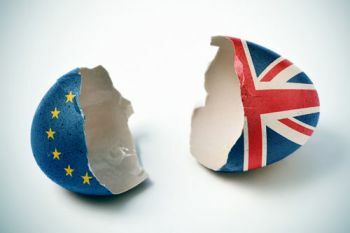 The European Referendum Act 2015 made no provision for a binding plebiscite and the Brexit vote thus stands as a purely political declaration of the majority public view. Ours is a constitution, however, that is founded on democratic principles. 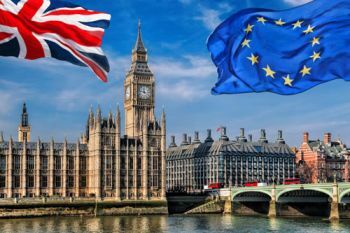 Whilst Parliament, being domestically sovereign, retains the legal authority to pass laws in defiance of last Thursday’s result, the political reality – enforced by the democratic voice of the people – means that it is incumbent upon the powers that be to give effect to Brexit and the view of those supporting a departure from the EU. This means invoking Article 50. Article 50 of the Treaty on the European Union provides that the process of withdrawal from the EU begins with notification to the European Council of a state’s intention to leave, with a two-year negotiation period thereafter allowing for the form of the departure and the nature of the state’s relationship with the EU being settled. Crucially, Article 50 also stipulates that a member state may withdraw from the EU ‘in accordance with its own constitutional requirements’. It is this last sentence, however, that has motivated much discussion (see recent posts at the UK Constitutional Law Association blog). Some argue that the Prime Minister alone has the authority to pull the Article 50 trigger, legitimised by the prerogative powers; others suggest the European Communities Act 1972 overlaps with the relevant prerogative power and thus overrides it, meaning that section 2 of that Act gives rise to a need for parliamentary action before Article 50 can be invoked. Regardless of this interesting debate and the correct constitutional and legal position, it is likely that Parliament will have to be involved at some point in the proceedings. If MPs thereafter vote to reject any plan or settlement for Brexit, as they are legally entitled to do, then the situation could take on a new dimension. But, as Mark Elliott rightly points out: ‘the UK remains, fundamentally, a parliamentary democracy, and it cannot plausibly be argued that the referendum substitutes for proper parliamentary involvement’. Much will, of course, depend on the outcome of leadership campaigns in the Conservative and Labour parties and, more broadly, the political climate in which these constitutional issues unfold. As the last section explored, the constitutional realities of the UK’s current situation are complex. The untested nature of Article 50, combined with our own uncodified constitution, means that the coming months and years will perhaps present more questions than answers. Indeed, and as a final point, Brexit could effect the break-up of the United Kingdom. As was seen last Thursday, Scotland remains pro-Europe, with all constituencies north of the border returning an ‘in’ majority. Though Nicola Sturgeon confidently suggested that the Scottish Parliament could block Brexit, these claims are legally unfounded due to the nature of parliamentary sovereignty and the realities of devolution law. We could, however, witness a second Scottish Independence Referendum, which, swayed by the prospect of Brexit, could turn the close result returned in September 2014 into a clearer vote in favour of departure from the UK. Scotland could then thereafter be free to begin proceedings to re-join the EU as a new member state. Though perhaps not so prominent, the majority support for ‘remain’ in Northern Ireland also raises similar issues. Could we see a referendum honouring the Good Friday Agreement and, if successful, initiating the reunion of Ireland as a whole? Though many would welcome such an eventuality, the potential for political trouble surrounding this debate is hard to ignore. Citizens of the Republic of Ireland would likely also call for a vote. Notwithstanding any political developments that might impact on the nature of our post-EU settlement or the manner in which it is sought – both legally and politically – the UK is undoubtedly entering a new era of constitutional uncertainty.